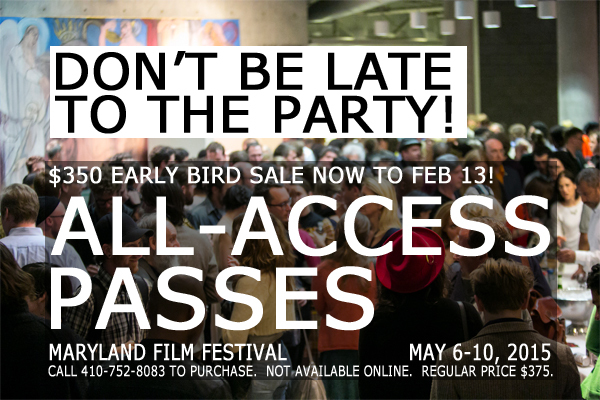 MFF 2015 All-Access Passes On Sale Now! Early Bird Discount Til 2/13! We’re excited to announce that our popular MFF 2015 All-Access passes are now on sale to the general public at the discounted rate of $350 (regular price $375)! The early bird discount ends Friday 2/13. Call our office at 410-752-8083 to order your All-Access pass today; this offer is not available online.